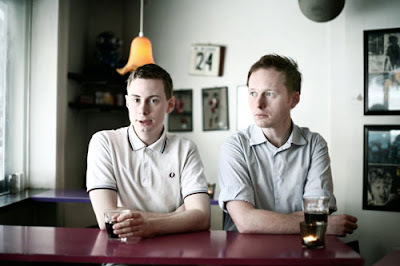 Champagne Riot is an electo synth-pop group from Denmark. Formed as a solo project of Caspar Philip Bock, Champagne Riot released a superb EP on Shelflife Records in 2008. Along the way, Champagne Riot became a duo with the addition of Anders Reuter and the two proceeded to experiment with new sounds and a bolder approach to pop music. The group draws inspiration from a variety of places including the world of classical music, Scandinavian melodic tradition, and electronic pop’s greatest torch-carriers including Kraftwerk, New Order and Pet Shop Boys. The good news is that the group is back with a brand new EP entitled 'Moonstruck' A four track electro pop record, perfect for fans of The Drums whom Champagne Riot supported on their recent European tour and perfect for Spring. I know that the revolution in the genre of music will never be, because the synthesizer is no longer a new toy. Some people write on my blog that the music is secondary, but I am free from these prejudices. I am in favor of catchy melodies colored electronics.